Protective fencing now encircles Downtown Culver City's Parcel B, signaling the imminent start of work for a long-delayed mixed-use complex. 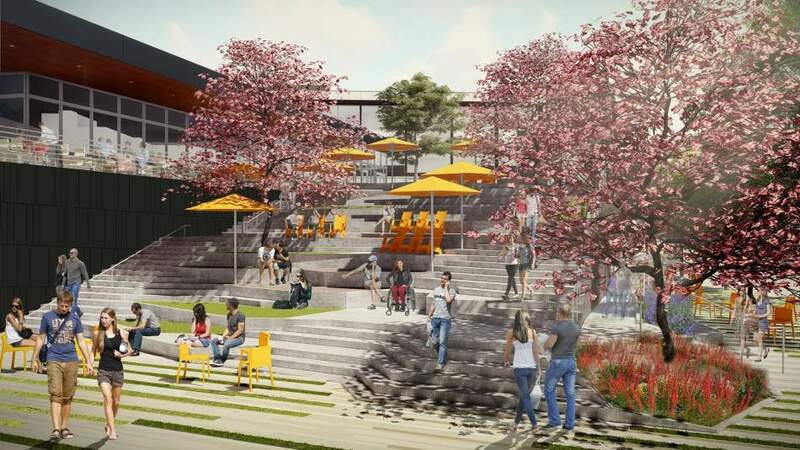 The Culver Steps development, which is being undertaken by Hackman Capital Partners, will be a four-story structure featuring 65,000 square feet of office space, 45,000 square feet of commercial space and an underground parking structure. The project, designed by Culver City-based EYRC Architects, is named for its most iconic feature: a 10,000-square-foot a grand staircase which leads to a 10,000-square-foot elevated plaza. Hackman also owns the adjacent Culver Studios campus, which is slated for a 413,000-square-foot expansion that could begin construction in 2018. Jeff Vertun is an Occupier leasing specialist at CBRE and is based at the firm’s global headquarters in Downtown Los Angeles.